It seems like now a days, everyone is willing to jump on the crazy-train bandwagon! What started with a few fools laying face first in the dirt, ended up with them perched birdlike outside on several objects. 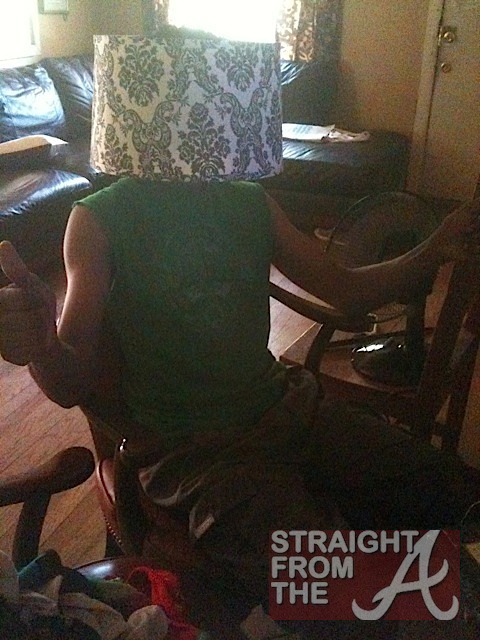 Now you’ve gone from planking to owling… and now LAMPING? What the hell will y’all think of next? 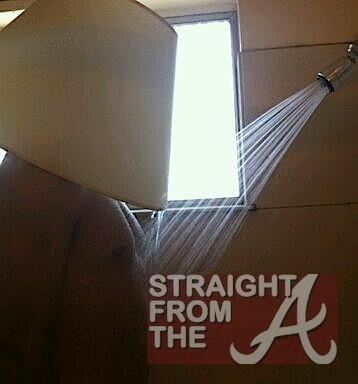 I can’t with you people… “-? 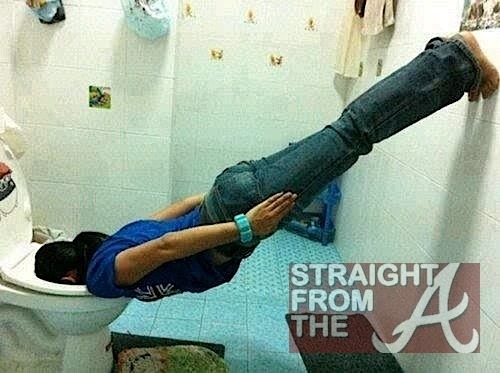 VIDEO: When PLANKING Goes Wrong + Is “Owling” The New “Planking”? 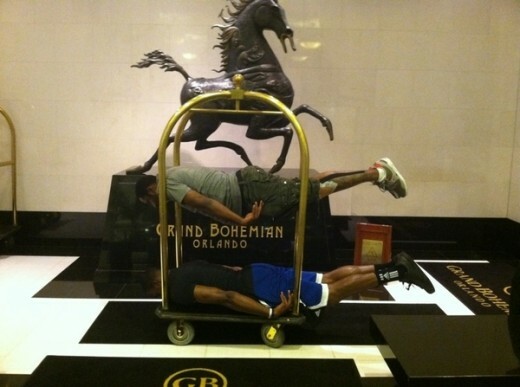 In case you still don’t know what PLANKING is…. 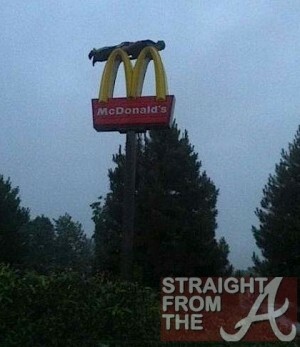 you may want to revisit “What the PHUK is PLANKING”. 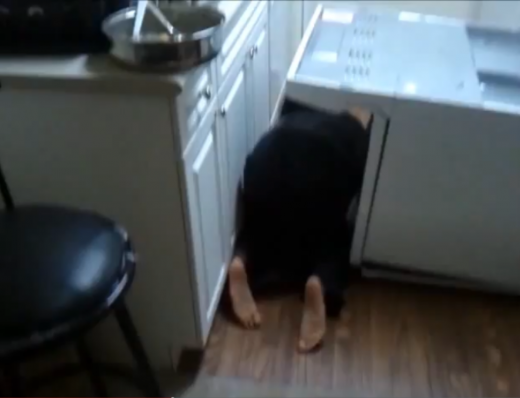 Some random chick has now become a viral video sensation after she failed miserably while tryna “Plank” in her dirty “A”zz kitchen. She loses her balance while planking between a stove and the counter and falls to the floor with the stove crashing down on top of her! The PLANKING craze is picking up speed and even my boo Antwan “Big Boi” Patton (above) has decided to join in on all the tomfoolery. 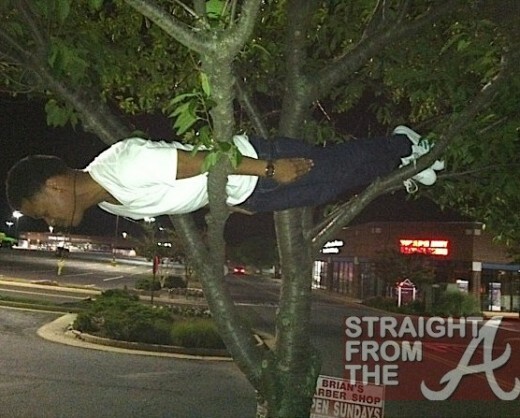 Celebs have jumped on the “Planking” bandwagon and have begun sending pics across their social networks, including comedian Lil Duval, Dwight Howard, Gilbert Arenas, Slim Thug, Bun B, Joe Budden and more. So there’s this craze going around where people photograph themselves laying facedown and lifeless in random places. It’s become so popular that it was even a trending topic on twitter earlier today. The craze has taken the net by storm and people are going to great lengths to get that one perfect shot of them “planking” from dangerous situations. Despite pleas from law officials to stop the dangerous act and at least one reported death, the act of “planking” has continued to surge and what was formerly a “crazy white boy” stunt has gone urban.